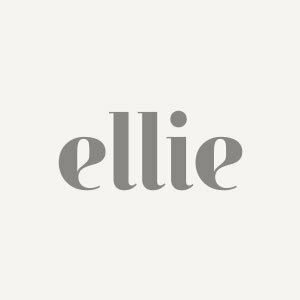 This past year Ellie was even quieter than usual, not because she hasn't been working furiously on new designs, but because she has taken this time to completely reinvent her process ... A whole new collection will be launched later this year! Black is the color of faith, luxury and elegance. 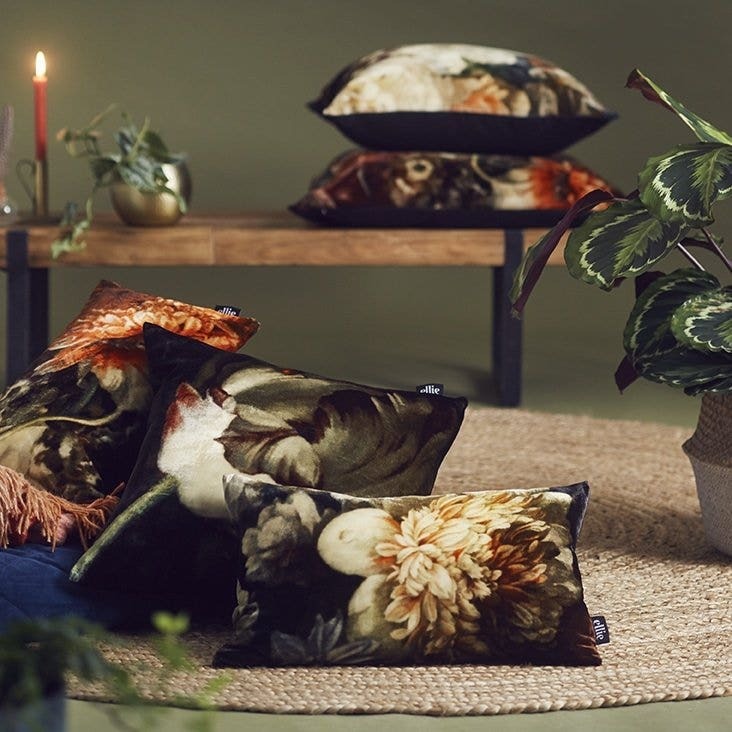 Soon we’ll be offering A Golden Age Velvet Black on actual Velvet fabric, which you can use to create curtains, cushions, clothing items and to make a moody and romantic statement. Brown is the color of earth; it's the color of everyday life and it's the color that stands for rustic. It's also the color that expresses the warmth of an old-fashioned room lit by candles, which brings back memories of the Golden Age. To brighten up your Blue Monday, we'd like to share some inspiration about how to use Ellie's favorite color blue in your home. We have just added our new design to the web shop; A Golden Age Wallpaper. 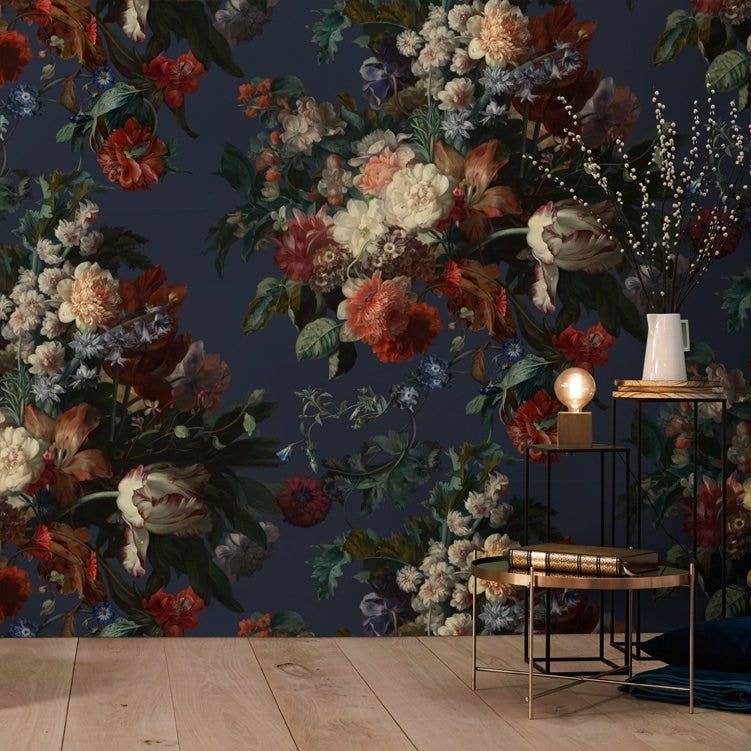 In this blogpost, Ellie will explain what was going through her mind while designing the new wallpaper for her collection! It's been in the works for over a year, and I'm thrilled to announce that at the end of May, the 2.0 version of our site launched, featuring new products in all of our product categories. An alternative title for this post is 'Work Life Balance.' I feel like I'm always trying to find the right balance between time spent at work and with my family. When I started this blog almost exactly 4 years ago I decided to call it The Wonder in Us. I was going to (b)log about my pursuit of a dream/goal to become a successful designer.